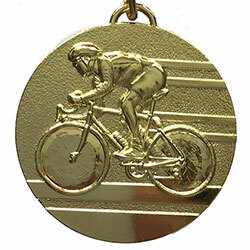 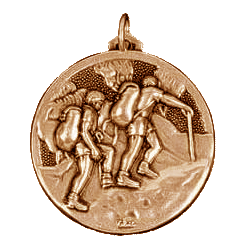 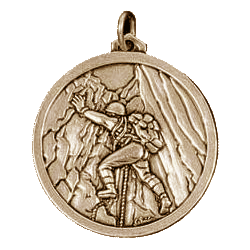 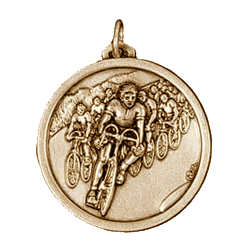 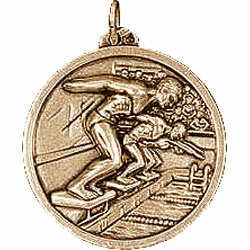 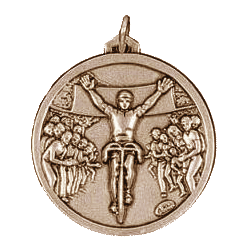 50mm economy bright gold cycling medal with contrasting background. 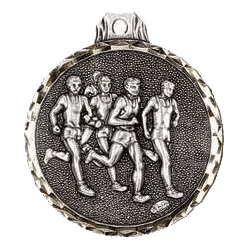 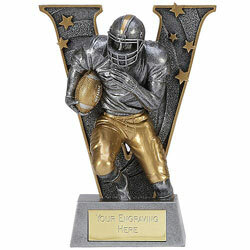 2.5mm thick with plain polished back for engraving. 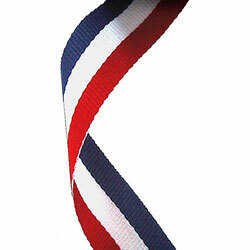 23mm wide medal ribbon in red white and blue included.